Discussion in 'Discussion' started by Songbird, Nov 15, 2018. When do you think was the peak of quality and popularity of HL2RP and some of its other frameworks? Technologically, sure, we are probably at the peak with the abundance of plugins and refined framework, but I am not sure if the roleplaying community right now is better than it was with OpenAura or Nexus in 2010s. And to my older friends here on C16, when was the forum in its best shape possible? With lively discussions, drama, shitposting and new things happening every day? When the forums were on SFM maybe? Not trying to start 'grass was greener' argument but I genuinely want to talk about this cause I kinda sometimes miss these forums and these gamemodes. I have a lot more screenshots and data and even the gamemode files themselves from back then too, which I may release alongside everything else in 2019. I think the feeling of unfamiliarity and just curiosity in general made people take all of these gamemodes very seriously. I was just a child when I joined my first HL2RP server on OpenAura, I was confused but extremely intrigued and made myself follow all these rules and guidelines. I wish we could bring back that feeling - nowadays every kid in Gmod knows what roleplaying is and a lot of them don't take it seriously. i'm not old enough to be c16 oldfag but when i was around, we had smf. i think it was 2014 when i joined. i think i caught the tail end (or was apart) of what would probably be the most active the site would be. but i still argue that smf looked nicer, felt better to use. i think i'm the minority in thinking that, though. in all aspects, xenforo is clearly the superior forum software in terms of functionality, appearance, ease of use, and really everything else. i think our memories of smf just makes us think smf was better when it really was just our nostalgia making us think so. one thing i will argue though, is that i felt the themes and skins we used on smf had more personality and made C16 feel a bit more, idk, comfy. the xenforo one we've had is just basic and feels more business-like. When I first joined I didnt know much about it. I just played serious and learned more when I played. I feel that when I finished to explore and know anything about the game you lose the intrests and feeling for it. The important thing is to try to give new players the same feeling and attention. I wish we could bring back that feeling - nowadays every kid in Gmod knows what roleplaying is and a lot of them don't take it seriously. We need to continiously innovate and explore, that new feeling you get, when you join for the first time and feel amazed and curious, that feeling is never renewed because it still is GMod, feels like GMod, plays like GMod and roleplays like GMod. With the same glitches, oddities and such years ago who are still here today. Push new boundaries with how we perceive roleplay and what constitutes a good roleplay server. Looking back is not the right option, we need to wait another ten years before we can do a renaissance-style revival of OpenAura and work out actual nostalgia and bring back people. Roleplay is on a drive moving from heavy emphasis on "written roleplay" to "scripted roleplay". Instead of roleplay being directed from the playerbase into the community, the community (server administration) inserts roleplay into the playerbase. Scripts, events, terminals, website-server interactivity, crafting, ease of access, making everything simpler and broader has worked for lots of servers to "survive". That's the new "boundary" of roleplay. We need to move on with it, really. Just a bunch of fags like us on this forum and some people we know and they know like the old style, but the majority loves the new style. We need to push the definition of roleplay. We are very serious roleplayers, and need to move to a new style. Forum roleplay hasn't worked for us(experimented with on this forum, lmao), but what about a new game? 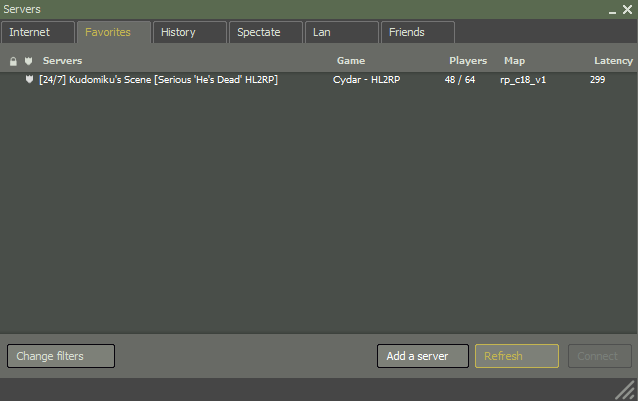 ARMA can be heavily emphasised with on roleplay, with lots of functionalities, broad support, ZEUS functions work well. That's just an example. Maybe it isn't about GMod anymore, maybe we need to branch out our way of roleplay to new horizons. Mount & Blade, no-mans-sky, space engineers, life is feudal, conan exiles, rust. Man, even MineCraft is starting to get popular again with older audiences and can be quite, quite good for roleplaying. 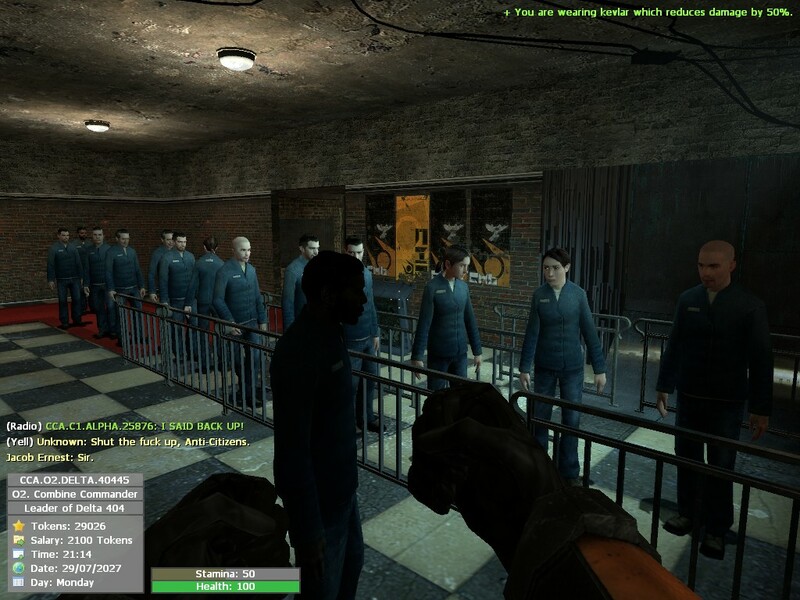 There's still plenty of "good" HL2rps out there or other roleplay themed servers, but they are dying, moving on, changing their ways. We should do one of those aswell: die, move on or change our ways. that could just be nostalgia but idk. I feel like it is more nostalgia than anything. I was around for a little while on SMF and it didn't feel much different to me than XF, just more active. I think that is the biggest downfall of things overall, the lost activity. for sure. i just like smf a lot more cos it's what i've been using since forever. If you think there is any forum software better then Invision Suite you're a simpleton and an idiot.